Online registration is now closed. Please contact our office at 209.932.3275 to register for the conference. This knowledge- and application-based learning activity is designed to provide pharmacists with the most current information regarding new drugs and new indications for older drugs. Lecture topics have been selected to reflect major areas of advancement in clinical therapeutics. The target audience for this program are pharmacists in a variety of settings including outpatient clinical care, managed care, consulting and inpatient-based practice. The University of the Pacific, Thomas J. Long School of Pharmacy and Health Sciences is accredited by the Accreditation Council for Pharmacy Education as a provider of continuing pharmacy education. This program is accredited for pharmacists for a maximum of 15 hours of continuing education credit (1.5 CEU), all knowledge- and application- based and are numbered consecutively (0006-0000-18-001-L01-P - 0006-0000-18-010-L04-P and 0006-0000-18-012-L01-P). To receive continuing education credit for this program, pharmacists must attend each of the program sessions, complete and turn in the program registration form with all proper codes issued to participants and evaluation form for each day prior to departing the conference. Statements of credit will be uploaded to participant NABP e-profiles via CPE Monitor within 30 days of completion of the program. Paper statements will not be mailed. These are ongoing programs with an initial release date of 03.22.2018. 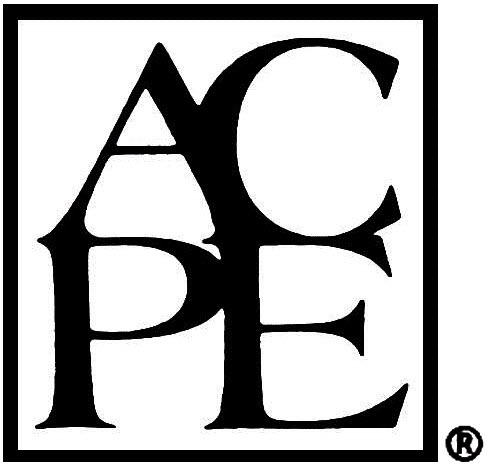 In accordance with ACPE policies, all Planning Committee members were required to complete a “Declaration of Disclosure-Conflict of Interest Statement” prior to this educational activity. All have indicated no relationship to disclose relating to the subject matter of these presentations. 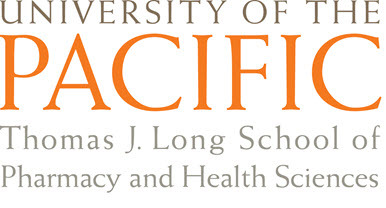 University of the Pacific's new San Francisco campus is a state-of-the-art home of learning, teaching, patient care and research. The convenient location is close to all major public transportation options, including BART, Muni and CalTrain. The new campus is built to LEED Gold standard to optimize energy and water efficiencies, and support overall environmental health. A block of rooms has been reserved at the InterContinental San Francisco for the conference dates March 23-25, 2018. The conference rate is $219 plus applicable taxes. To book rooms please contact their Reservations Department at 1-866-781-2364 and identify yourself as a participant of the Group in order to receive the negotiated rates. Lodging is only available at the conference rate by calling the number below and is honored on a first come, first served basis but not after 5pm on February 27, 2018. We encourage you to make your reservation early as the room block fills quickly. Parking is available at the Fifth & Mission / Yerba Buena Parking Garage. Daily parking fee of $34.00/24 hrs. Visit www.bart.gov for Bay Area Rapid Transit routes and schedules. Click here for the full electronic syllabus.